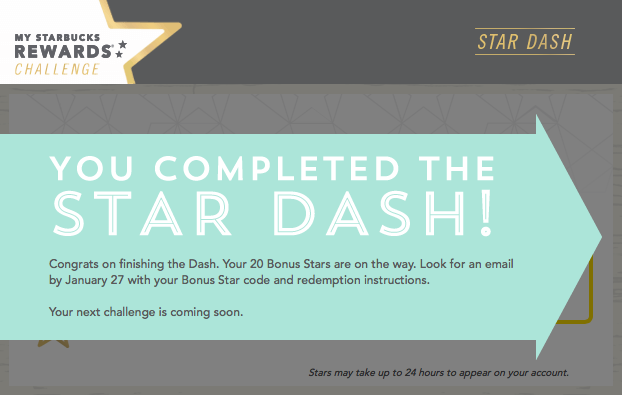 The first Starbucks Star Dash for 2015. This was a good one. If you did 3 visits in the first 12 days of the 2015, you earned 10 bonus stars. If you did 5 visits in the first 12 days, you earned 20 bonus stars. I ended up in Vegas this week and knew I would have multiple Starbucks visits. So the 5 visits was pretty easy. Now to wait for the email with my bonus stars. Look forward to reading all about your CES adventure this year.